PEARLAND — With a senior laden team this season, Dawson head baseball coach Kerry Cox is reaping the benefits of strong senior leadership as the Eagles remain the team to beat in District 23-6A action. So far, no one has been able to knock off the Eagles as they are currently undefeated at 8-0 with only four games to go in district. The Eagles have already secured their place in the playoffs, but Cox wants to see his team bring the district title to Dawson and be the No. 1 seed entering the post-season. Dawson got closer to the district crown with a solid 4-1 win over Brazoswood as the second round continues. "It is always tough against the Bucs," Cox said. "They throw some tough pitching at you. Really, in our district, I think they put the ball in play as good or better than anybody. We knew it was going to be tough. It went down to the wire. They didn't give up. They never do. We just hung on long enough." 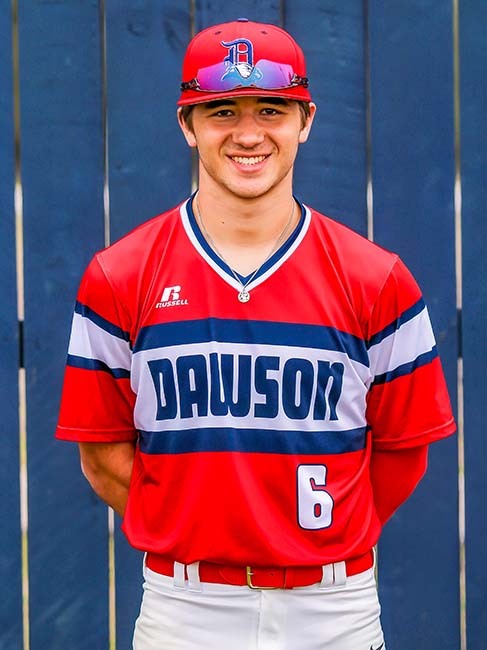 Dawson (8-0 in District 23-6A, 13-6 overall) scored twice in the first inning off Brazoswood starting pitcher Cade Johnson. Johnson gave up three hits, walked one and had three wild pitches as the Eagles plated a pair of runs before the Bucs could get an out. Johnson settled down, and with two runners still on, got a strikeout and back-to-back groundouts to end the inning. The Eagles extended their lead in the second when a run scored on another wild pitch. With two runners on and two outs, Johnson induced a popout to end the inning. Dawson went ahead 4-0 in the third on an RBI fielder's choice and then threatened again in the fifth by loading the bases with two outs, but relief pitcher Cullen Cooper got a strikeout to end the inning. Cooper kept the Eagles off the scoreboard and allowed only three hits while striking out four in three innings of relief. Meanwhile, Dawson pitcher Alec Reyes was keeping the Bucs off the bases. Through the first five innings, he only allowed two hits. Both hits were two-out doubles, by Brett Wagner in the first inning, and Nash Neff in the second. Each time, the next batter grounded out to shortstop to end the inning. "They battled," Cox said of his pitchers. "The Bucs, they have good eyes at the plate. They don't go chasing a whole lot of garbage so we had to throw strikes or they were going to take their walks. That is what our kids did. They threw strikes and made them put them in play. Sometimes they hit it hard and we were just in the right place." The Bucs (4-4, 12-9) finally broke through in the bottom of the sixth. After a walk by Wagner and back-to-back singles by Johnson and Andy Rubalcaba loaded the bases with two outs, Tyler Reinhardt singled to drive in Wagner and put Brazoswood on the board at 4-1. With the bases still loaded, Mason Seay hit a line drive to right field that was snagged for the final out of the inning. The Bucs got a runner to third in the bottom of the seventh, but couldn't get any more home. Top hitters for Dawson included Adam Houghtaling who was 4-for-4 with one RBI. Jason Scott was 2-for-3 with one run scored and one RBI. Jarrett Tadlock was 2-for-4 with one run scored. Eric Alvarez and Houghtaling both had doubles. 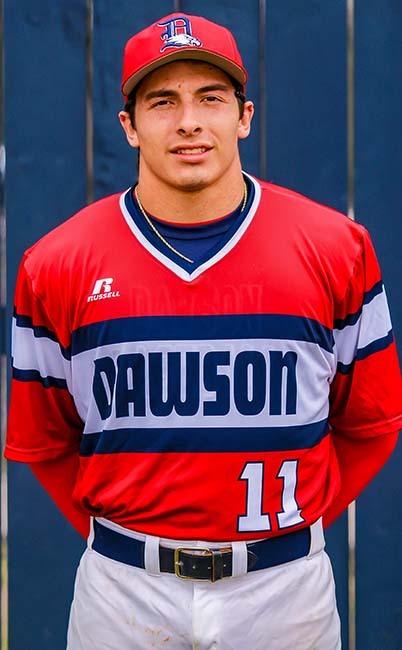 Dawson scored a run in the bottom of the fourth and fifth innings to get a tough 2-0 win over George Ranch to remain undefeated in league play at 7-0. John Sebok, Adam Houghtaling, Austin Langland, J.P. Marrero, and Gio Iannuzzi each managed one hit to lead the Dawson offense. The Eagles received another strong performance from pitching ace Adam Houghtaling, who pitched a three-hitter and struck out seven in the 2-0 victory over . Iannuzzi doubled and drove in a run to help the Eagle cause.